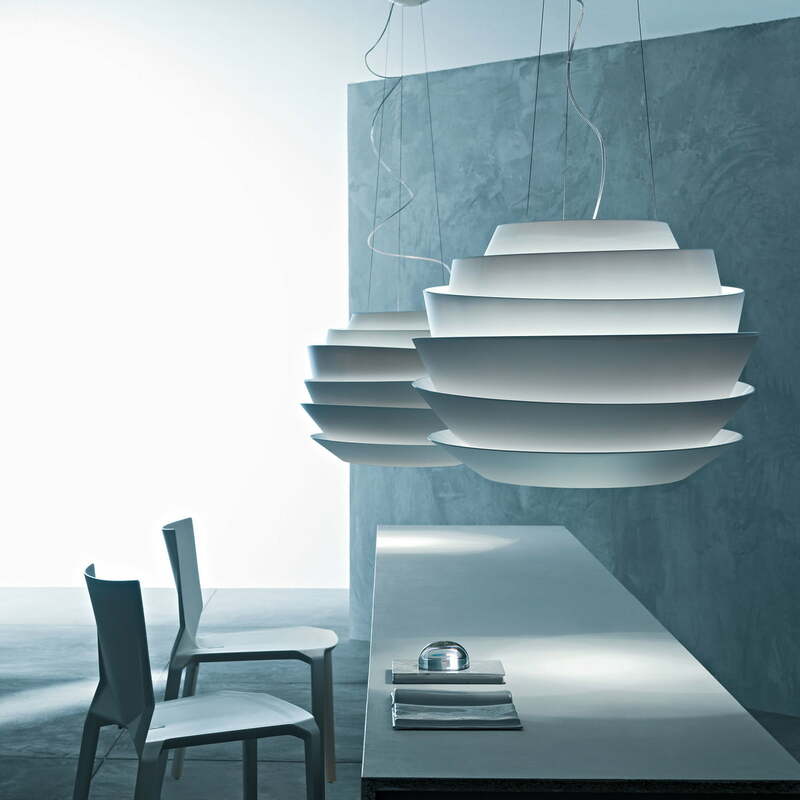 The suspension lamp Le Soleil by Foscarini is a glowing bowl that consists of irregular bands, designed by Vicente Garcia Jimenez. The bands reflect the light inwards, while simultaneously diffusing it outwards. 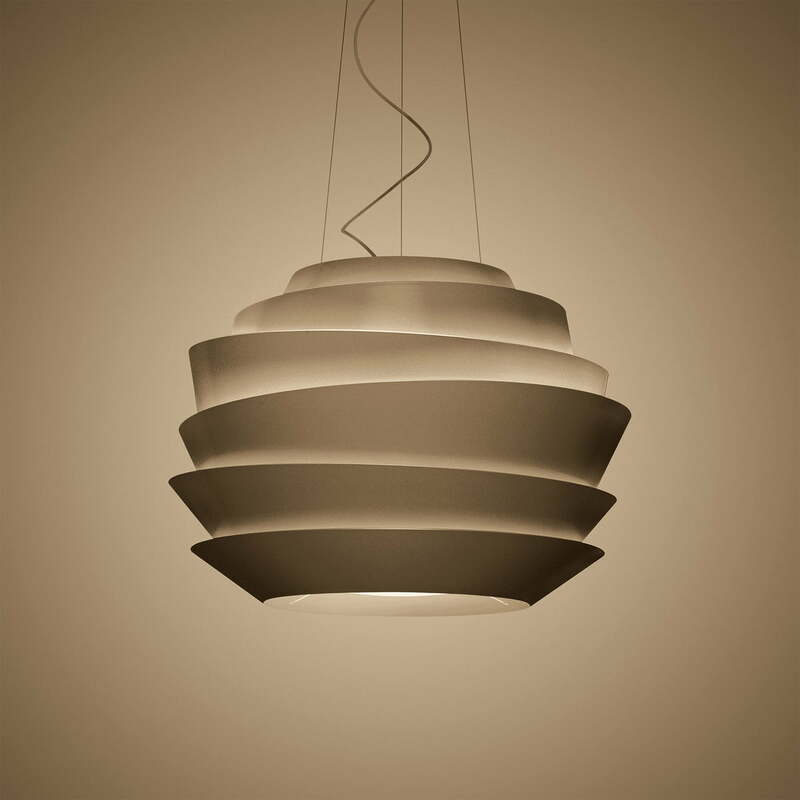 This creates a pleasant and enchanting glimmer that floats in the room. It provides direct illumination downwards and rays of light projected upwards. 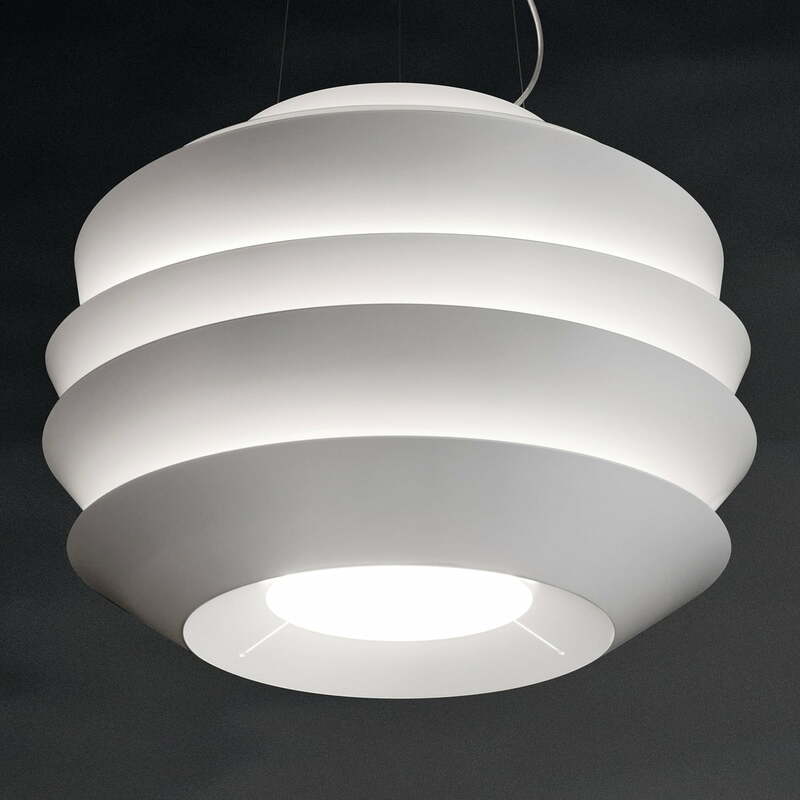 Le Soleil is a light that can be used both at home or in a public establishment. Whether it is suspended alone or in a group, it always provides for a special eye-catcher. The irregular edges of the bands add movement to the shape of Le Soleil which creates an architectural effect that always looks different depending on where it is viewed from. 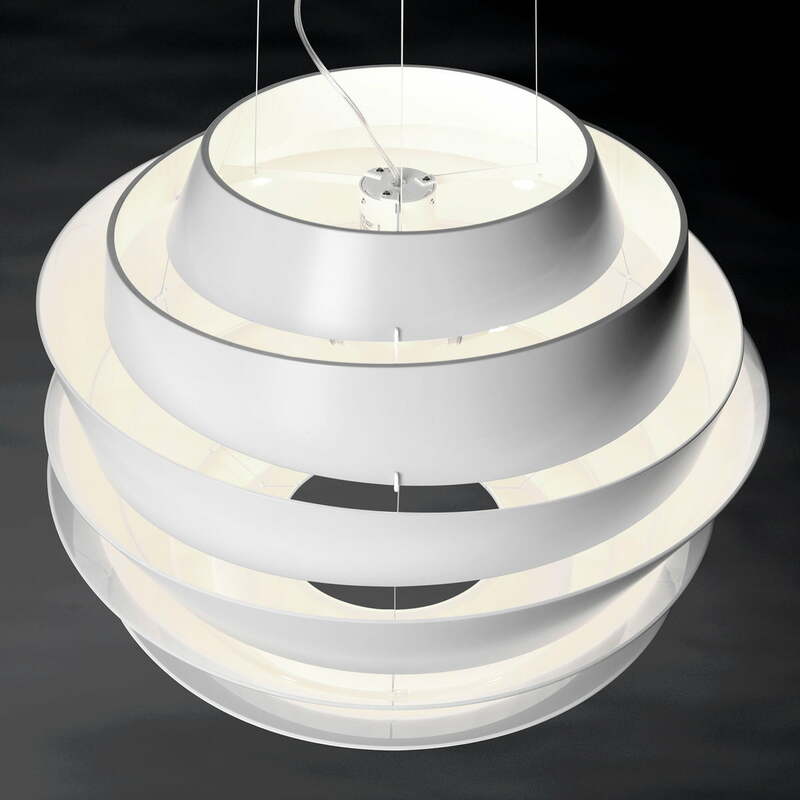 The Le Soleil LED pendant is available in various sizes and colours. 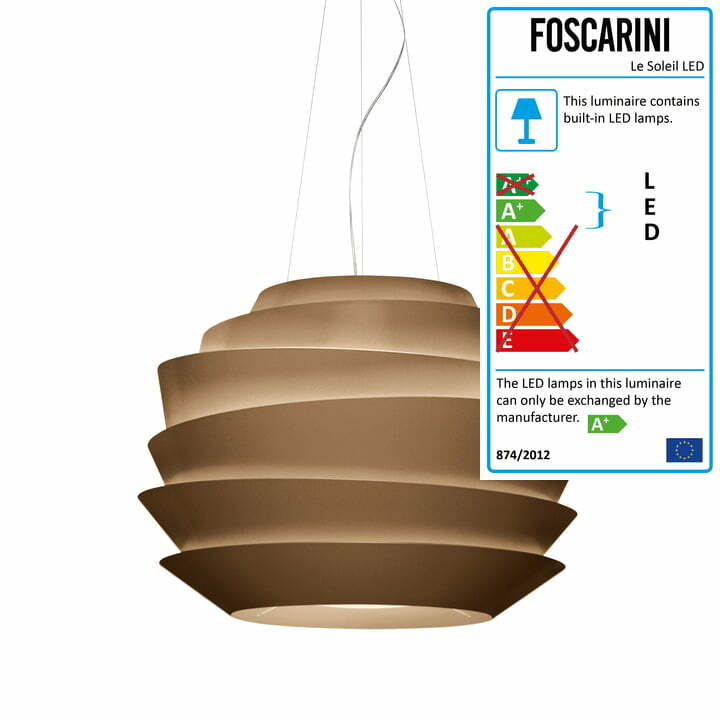 The Le Soleil LED lamps by Foscarini hung up in a row above the table are special eye-catchers. The downward light is best used to illuminated a table beneath it. 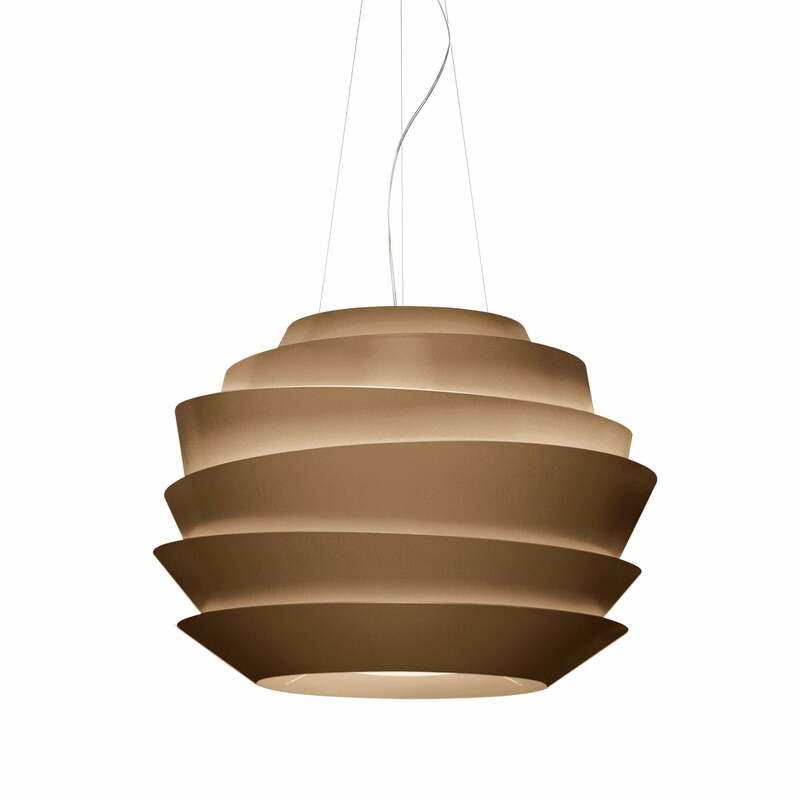 The light of the Le Soleil pendant lamp is reflected downwards thanks to the bands, while simultaneously acting as a diffuser emitting the light outwards. 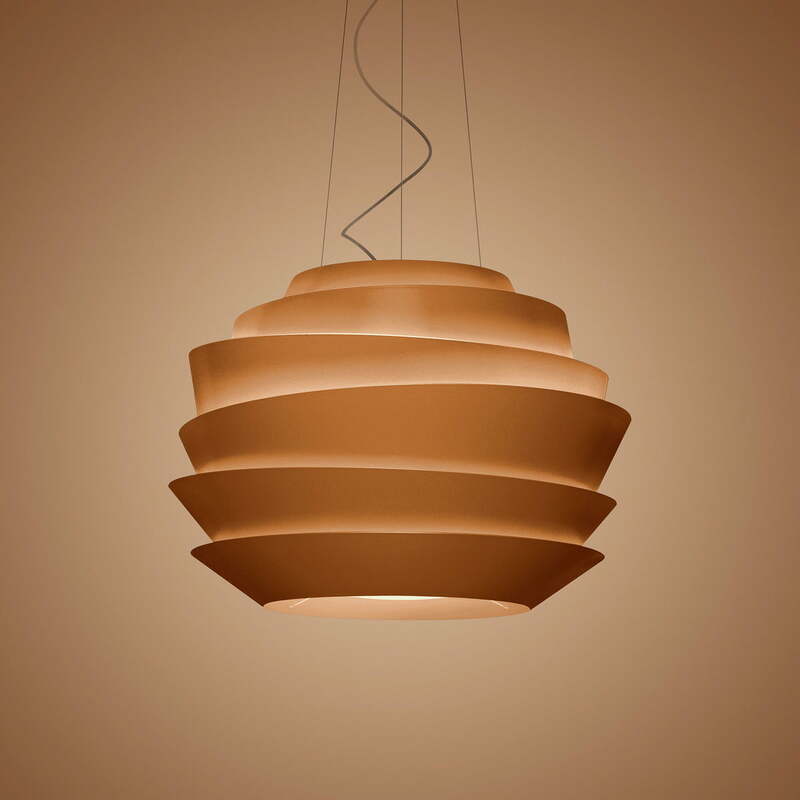 This creates a pleasant and enchanting glimmer that floats in the room. The irregular edges of the bands add movement to the shape of Le Soleil which creates an architectural effect that always has a different effect depending on the viewer's perspective.